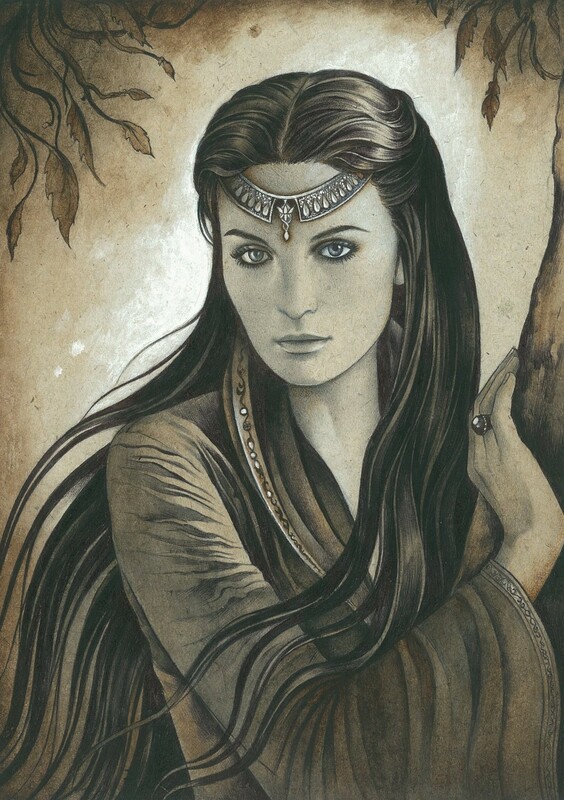 Minas Tirith Forums: What style of dance did Luthien use? Author Topic: What style of dance did Luthien use? What style of dance did Luthien use? To be honest, I am thinking the evidence points to a sort of modern tap. Her father being a famous elven king would mean that she would have had a great deal of classical influence, and her mother being a maia could have magicked her a pair of magic dancing tap shoes. Obviously, it is unwise to discount breakdancing, as the phat beats were kicking it back in the day of the second age in Middle Earth. Man. However one has to take into consideration that hip-hop was still in its earliest and dreadful forms, as anyone who has heard various selections of Bilbo's poetry set to breakbeats will know. When Beren finally found her, she may have switched her style to something more seductive, but we must also take into account the fact that she may have danced with him as well. An improvised tango set to the music of the wild wood is how I picture it - an improptu orchestra of beavers wildly begin to play amid chaotic dance steps between the trees. Tolkien is rumoured to have based the whole Beren/Tinuviel event on a real life event where his future wife danced for him in the forest. This would have been somewhere between the 20s and 40s, which implies the dancing style used is some terrible 30s swing dance from the depression. Oh dear. LOL. New as I am, somehow I don't think it would fit in the Library. Ummm.... Tolkien got married in the 1910's (1914, I think.) Slightly before the time period you are postulating ! what's twenty years among friends? I like to believe she danced more exotic, like an Arabic harem type dance, which were quite hot even at the turn of the (last) century. But would Beren have worn the tights? • "....For mine is the choice of Luthien" ..... "both the sweet and the bitter"
I didn't know they had Victoria's Secret in Middle Earth! "There's been talk of some strange folk about. Can't be too careful." Wow! I didn't know that thread was still around, Eol! It was one of the first topics I ever started. This is good! Being a bellydancer, I always thought the dance to be like a semi-Saharan exotic dance, though with considerably more clothes than shown in that awful pic....many layers of flowing silk. I've always thought it was something like modern dance, Martha Graham style more precisely... That kind of dance could have been delicate, expressive and seductive all in one. Heh thats funny.... I think something exotic, Asian, gypsy ect. btw, I'm new here. greetings, all. In some of the references in the thread to which Maerbenn gave the link, it is said that the dance required swiftness of feet. This seems to point to some kind of barefoot flamenco. As a middle eastern dancer who has spent some time studying the traditional roots of many dance styles.... I actually imagine that Luthien's dance would have the wild, free, flowing character of Rom dancing. It is unchoreographed, unstructured, and a blend of passion and life and grace with strength and beauty. I'm sure that you're right Elora. Though a part of me does want to think of it as her version of the Safety Dance -- just without the dwarves and the maypole.